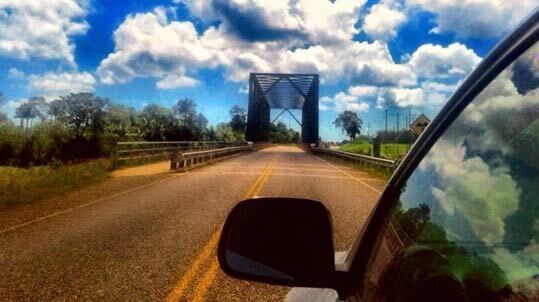 San Ignacio Town ranks as the top inland destination in Belize. Travelers visit year round to experience the countless Attractions and Activities throughout the country. Kawiil Tours, a local (inbound) tour operator, offers many adventure tours for visitors of all ages and groups. Our Signature tour, the Actun Tunichil Muknal (ATM) is popular among travelers as it is the largest sacred cave containing huge chambers, many artifacts and skeletal remains. 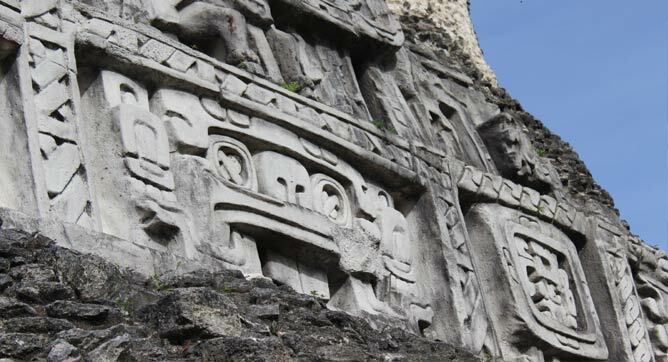 Other Spectacular tours include Archaeological Sites like Caracol, the largest Maya ruin in Belize; or Tikal, the largest ruin of the pre-Columbian Maya civilization. Plan your vacation and explore the beautiful Rain-forest whether it’s climbing Maya ruins, Cave Tubing or Zip lining over treetops. KaWiil offers shuttle services to and from your travel destination such as the Belize International Airport and your hotel or resort. Customize your itinerary and plan a half-day activity while traveling between locations. Our drivers and guides are friendly and prepared to answer all your questions. Luis has always been passionate about nature and history. As a young man, he did his best to protect natural resources and ancient history. He assisted and learned from various Scientists, and decided to become a Licensed Tour Guide. In return, Luis became one of the first guides to do a tour of the Actun Tunichil Muknal Cave. With almost two decades of experience, he became one of the top ATM Cave tour guide in San Ignacio. Louis is known for his vast knowledge of Mayan History, thorough explanations and kind character. He aims to offer the best tours while providing heartwarming experiences. I was skeptical that the tour of Actun Tunichil Muknal would be as amazing as the marketing, but it definitely went way above my expectations. This is THE thing to do in Belize and Luis is THE person to take you. He had an encyclopedic knowledge of plants and Mayan history. He was flexible, accommodating, super helpful and full of information. Plus, the lunch he provided was one of - if not the - best meals we ate in Belize! My two teenagers loved this tour - you definitely need to be in good shape and a strong swimmer. Highly recommended - remember to bring bug spray for the end of the adventure. Did a Tour of the Caves or Mayan Ruins? Here's what to do next! The Belize Zoo and Tropical Education Center is great for a half-day tour. The Zoo has many species of animals including the large harpy eagles, Tapirs, Jaguars and Howler Monkeys. Perhaps you fancy a more relaxing tour, one that includes a jungle pontoon cruising up the river. 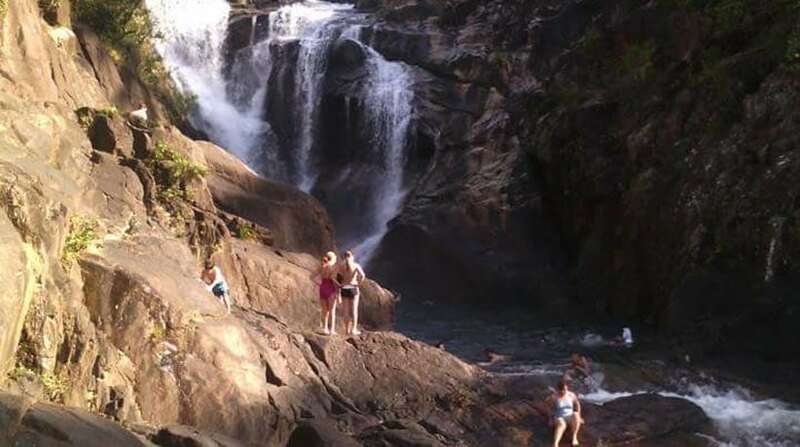 Visit 3 Waterfalls in 1 Day on your vacation! Let Us Arrange Your Adventures Today! KaWiil offers one-way or round trip transportation. Arrange a transfer for your arrival or departure from the International airport in Belize City. Travel to and from San Ignacio to either destination: San Pedro, Ambergris Caye, Caye Caulker, Placencia, or Hopkins. Your trusted driver will transfer you to any Hotel, Resort or AirBnb throughout the country. The KaWiil Belize Tour Experience! 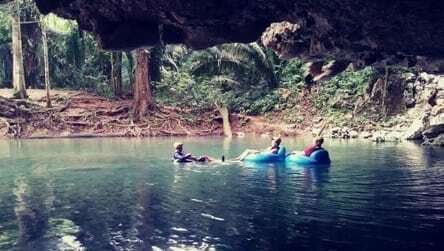 What better way to tour the country and all its wonders than with KaWiil Tours, an uprising tour company in San Ignacio. KaWiil means “the way of the Mayas”, clearly describes the tours in Belize. 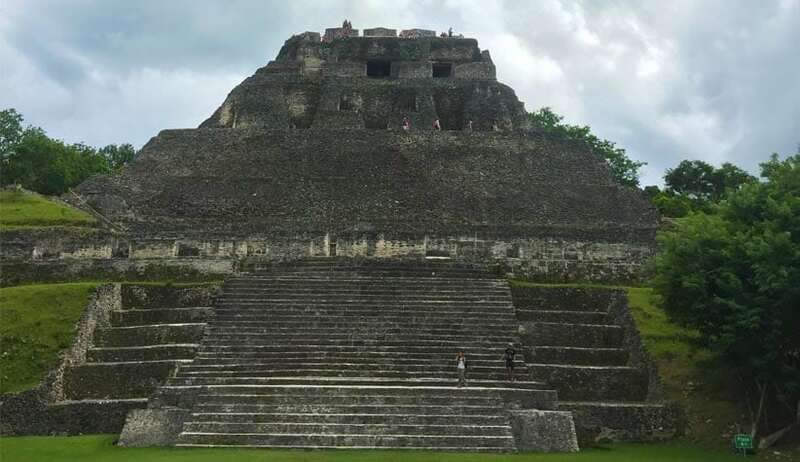 KaWiil Tours owner and expert guide, Luis Zaiden, has selected a handful of the famous tours and attractions found in Belize. 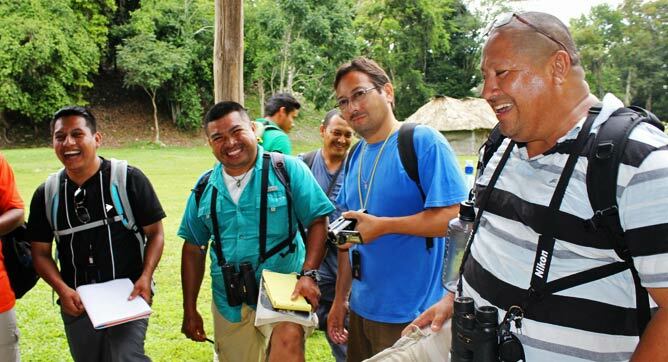 Luis and his licensed tour guides caters for groups, families, couples and the solo travelers. 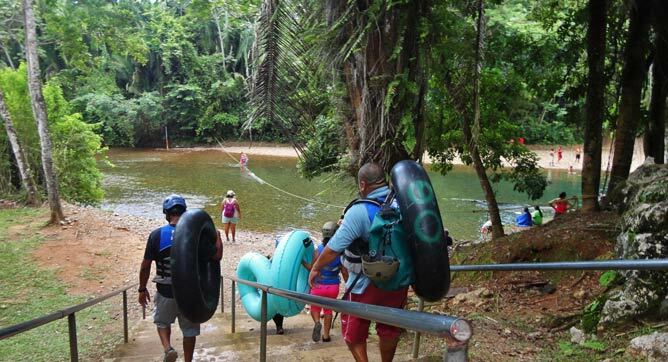 Go Cave Tubing in Belize or visit Tikal in Guatemala. 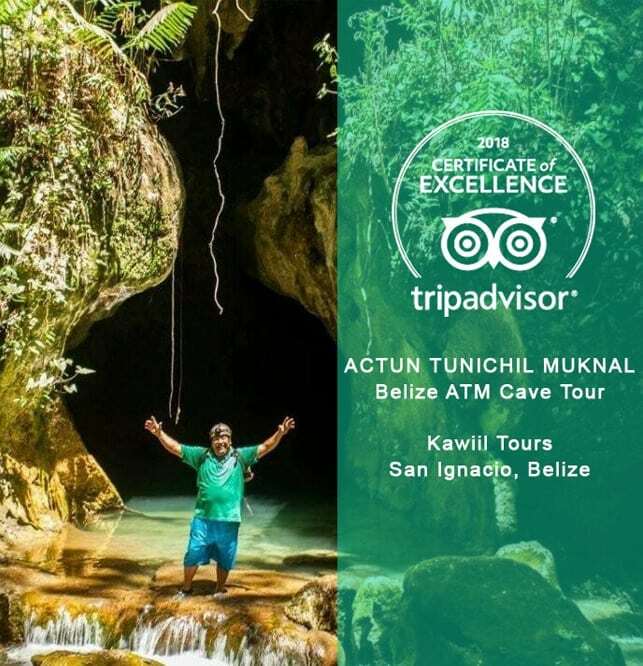 For the adventurous and young at heart, the Belize ATM Cave (Actun Tunichil Muknal Cave) , rated as one of the top ten sacred caves in the world, offers a unique experience. Kawiil Tours provide healthy wholesome local meals with all full day activities. Pick up and drop off is available for those who need transportation, as every tour departs from downtown San Ignacio. Luis and his trusted guides offer safe, reliable and adventurous bucket list activities in the jungle. Plan a trip to Belize, Central America and experience and unbelizable vacation.